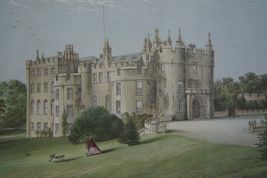 from the time of William II. 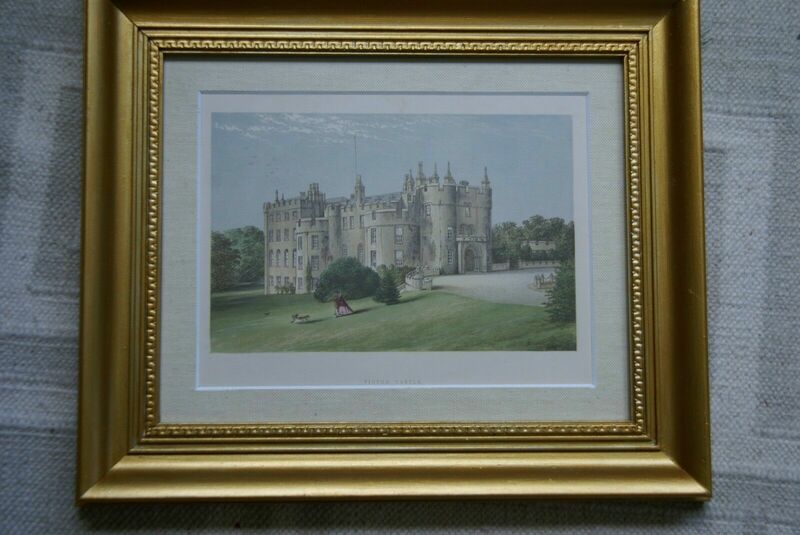 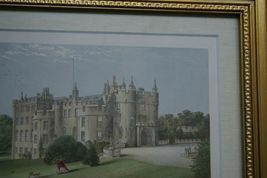 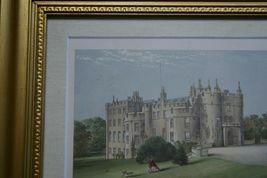 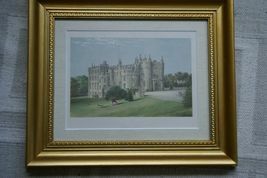 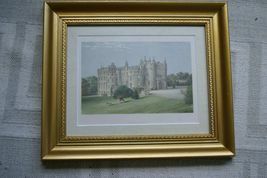 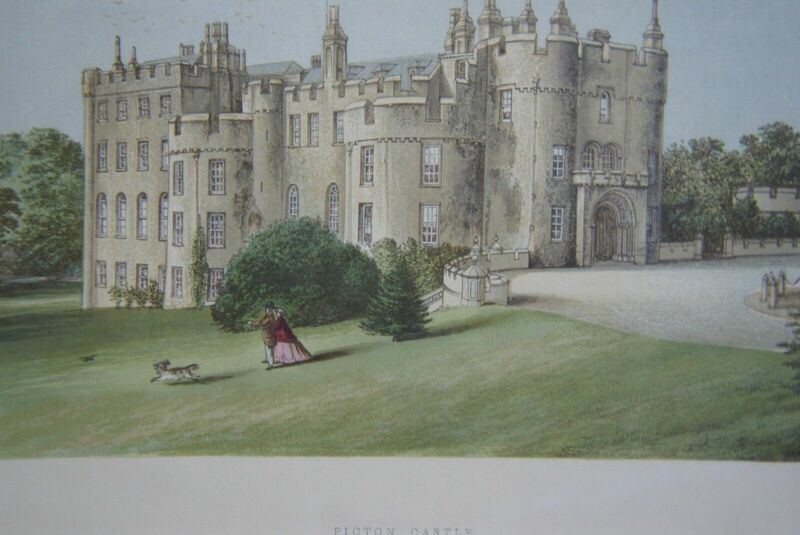 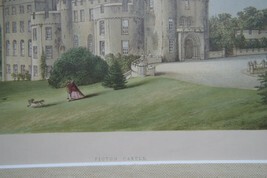 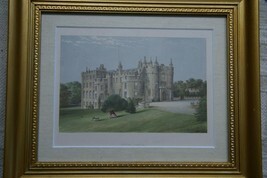 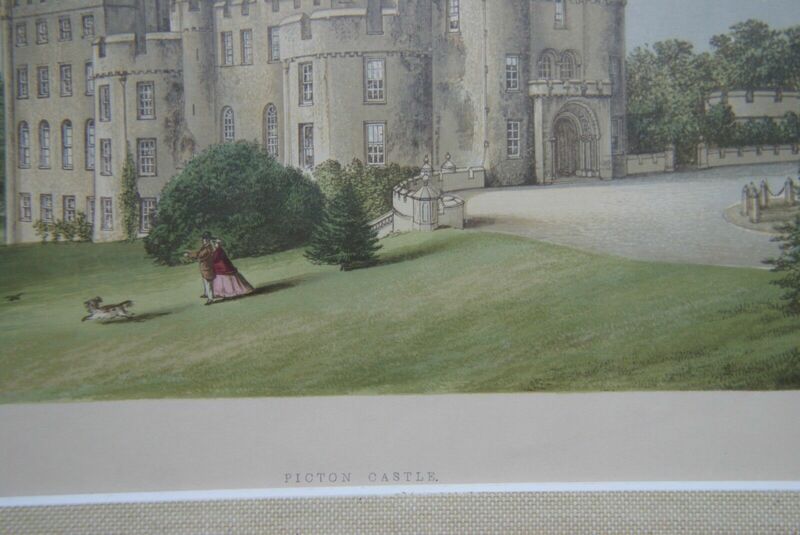 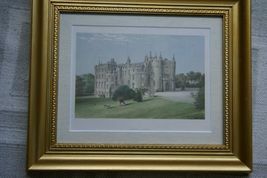 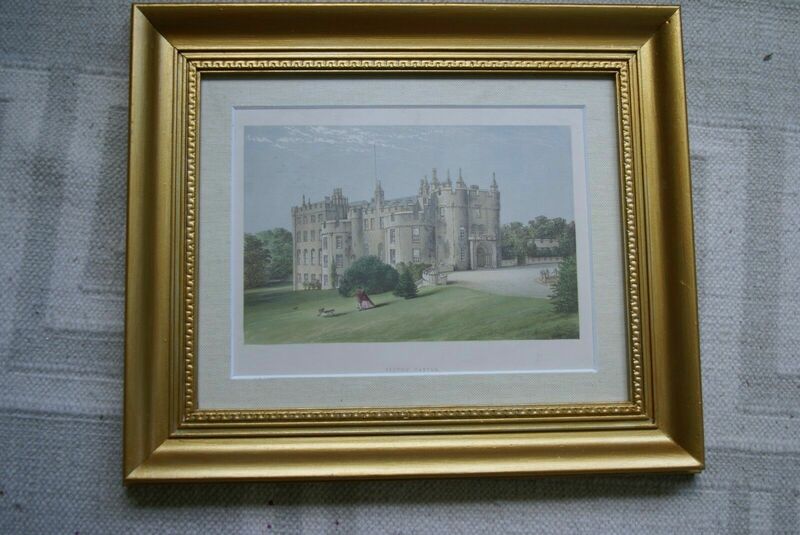 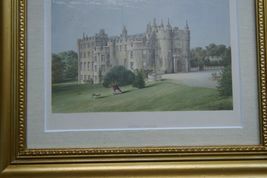 This is a beautiful authentic original antique English lithograph of a British stately home, an English castle called Picton Castle, 1000 years old ( Welsh Phillipp Family), Pembrokeshire, England, a fortified residence from the time of William II. 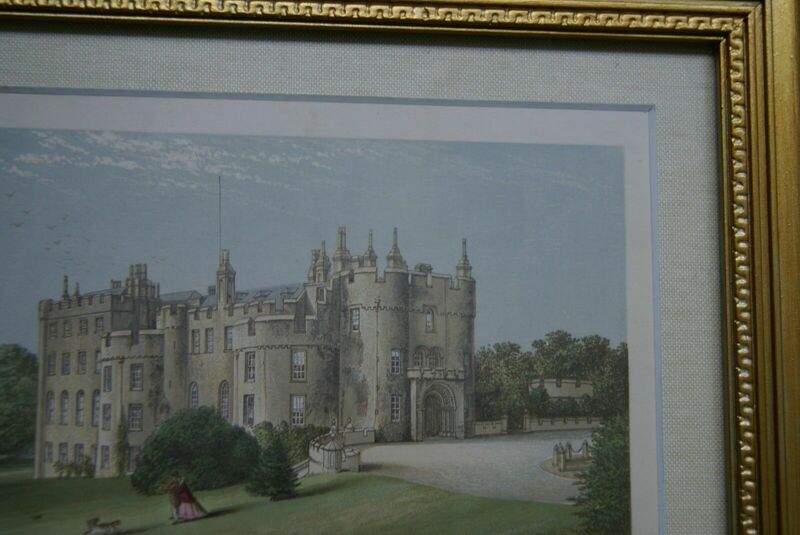 This is a highly detailed plate from the Reverend Frances Orpen Morris’s work published in the mid 1800’s, 1868 to be exact and dedicated to the Queen, London. 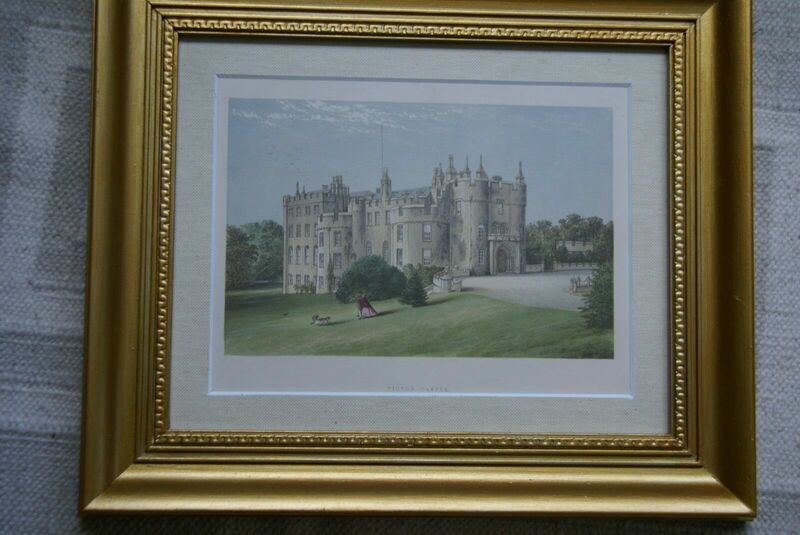 This is an excellent hand-tinted coloured print and a scarce collectible in perfect condition although over 100 years old, from Francis Morris who had a passion for natural history and the British countryside . 19C Image extracted from page 48 of volume 1 of The County Seats of the Noblemen and Gentlemen of Great Britain and Ireland, by Francis Orpen Morris. It has been professionally framed with acid free linen mat, comes with some pages of the book as well Item DFPO8 FINISHED SIZE: 13" X 11", YEAR 1863 REDUCED AS WE JUST CLOSED OUR ART GALLERY Great condition, superb colors, not faded. 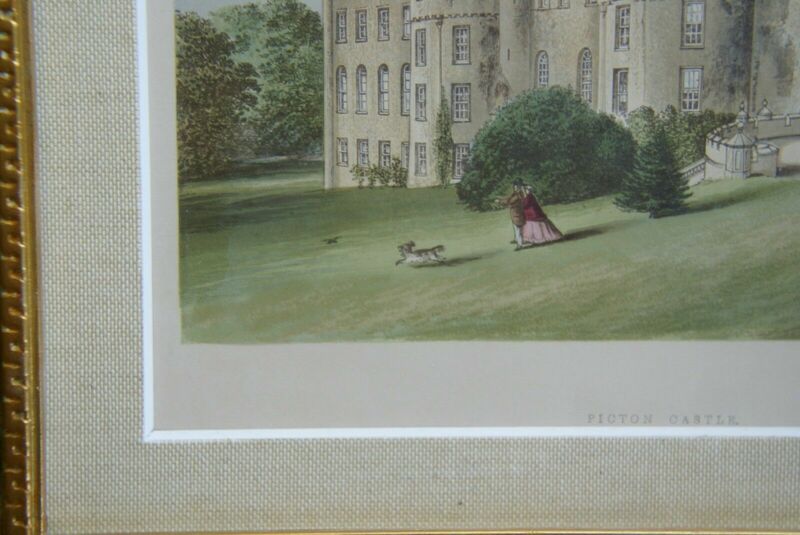 No foxing. 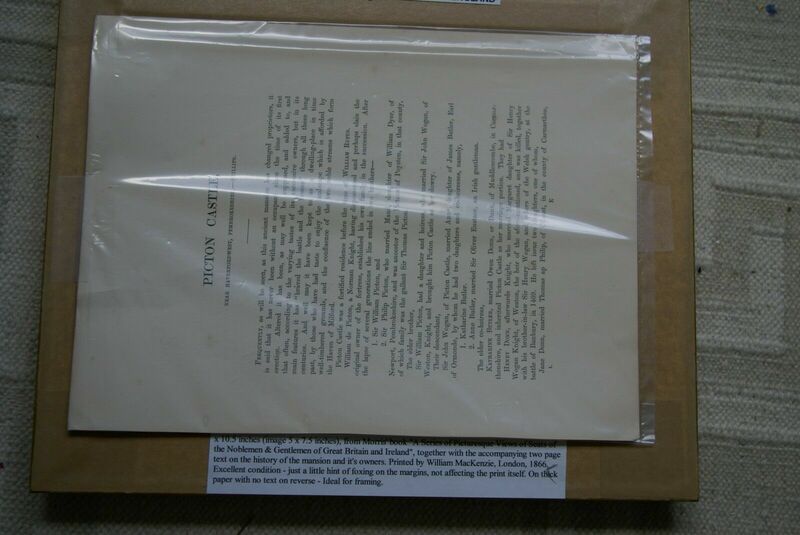 The print is an original! 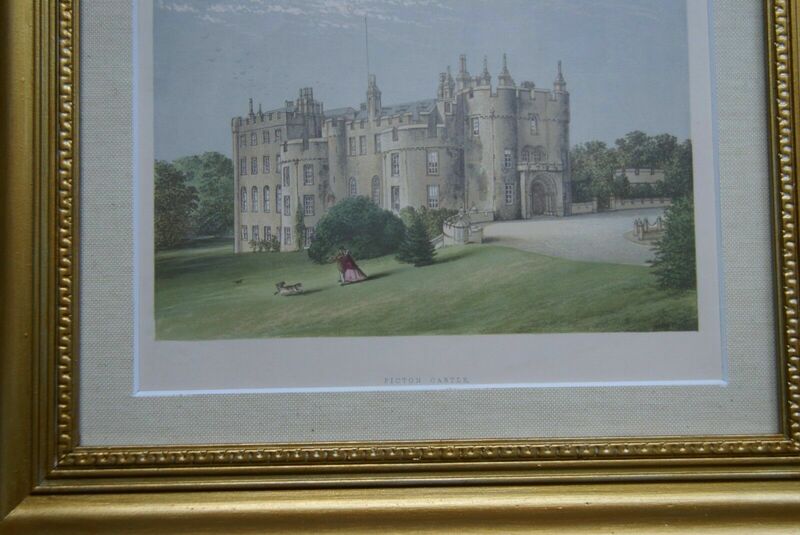 This is a real bargain, and ready to go! 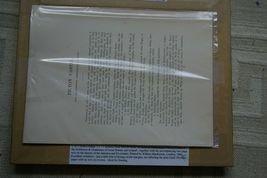 It makes a great gift for collectors of rare prints We also carry loose original prints 300 years old or less in great condition such as: Albin, Audubon, Baron, Barraband, Bertuch, Brodtmann, Brown, Buffon, Cassel, Curtis, Cuvier, Donovan, Edwards, Fitch, Frisch, Grandville, Harrison, Walter Hood, Latham, Linden,Linnaeus, Loddiges, Martinet, McKenney, Morris, Munting, Redoute, Reinchenbachia, Schreber, Schubert, Selby, Shaw and Nodder, Van Geel, Warner, etc.... etc... Again, we closed our art store of antique prints and custom frames as well as our store of rare artifacts from around the world and we will now sell them direct by listing them regularly. We have 1000's of antique prints and it will take a while to do so.